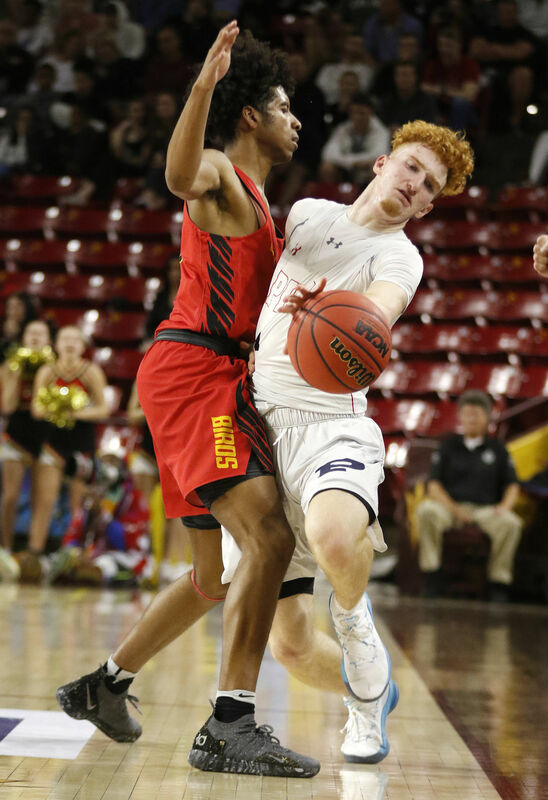 Arizona signee Nico Mannion was named one of three finalists for the national Gatorade Player of the Year award, along with Memphis' James Wiseman, and R.J. Hampton of Little Elm, Texas. Mannion, a star at Phoenix's Pinnacle High School, won his second Arizona Gatorade Player of the Year honor after leading his team to the Class 6A state championship last month. He averaged 30.4 points, 6.2 rebounds, 6.2 assists and 2.8 steals per game. The award also recognizes academic achievement and character, two areas where Mannion has made an impression. Despite reclassifying last summer and finishing high school in only three years, Mannion has a 3.66 GPA at Pinnacle. He also has volunteered time coaching at youth basketball clinics and by participating in Out of Darkness Walks that benefit mental health awareness and suicide prevention. Gatorade awards a player of the year to all states that sanction high school basketball, including one from Washington D.C. Mannion has won the last two player of the year awards in Arizona; UA sophomore Alex Barcello was named Arizona's Gatorade Player of the Year in 2014-15 and 2016-17, while playing for Tempe Corona Del Sol High School, and Kansas Jayhawk Mitch Lightfoot won the award in 2015-16 while playing for Gilbert Christian School. Mannion signed a letter of intent to play for Arizona next season. Of the other finalists, Hampton is an uncommitted junior guard while Wiseman is a senior from Memphis East High School who has signed with the Memphis Tigers. Wiseman is rated No. 1 among the class of 2019 by ESPN, while Mannion is No. 8. Hampton is rated No. 6 in the class of 2020. The freshman will pay it forward after receiving pointers from senior Justin Coleman this season.